By Melissa Lennig on June 20, 2018 12 Comments. This content contains affiliate links. As an Amazon Associate I earn from qualifying purchases. 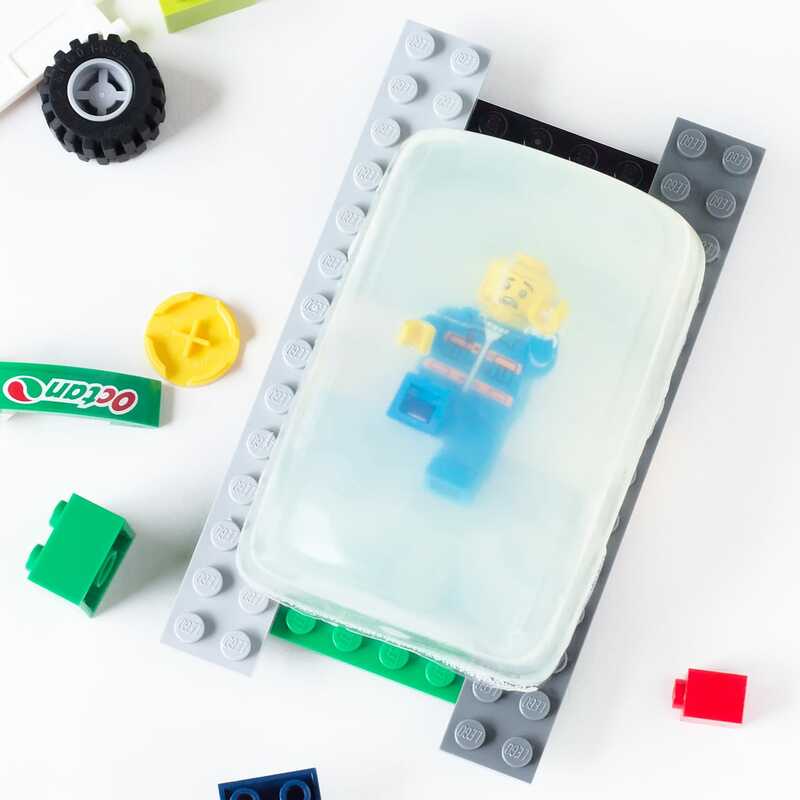 Inside: DIY LEGO Rescue Soap, created from clear glycerin melt and pour soap, essential oils, and LEGO Minifigures will motivate your kids to get back into healthy handwashing habits. Oh, these boys of mine! For some reason, they’ve gotten it into their heads that they are no longer required to wash their hands before meals and after using the bathroom. They know why they need to wash their hands; it’s just that they are too lazy busy; washing hands takes precious time away from play. 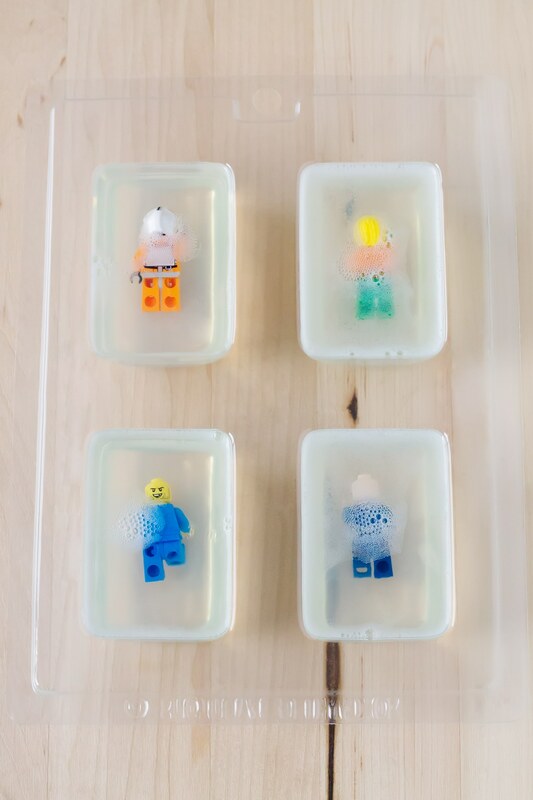 To get my kids back into the healthy habit of hand-washing, I made like President Business from The LEGO Movie and kraggled some of their mini figures with clear glycerin soap. Now they need to be rescued! My evil plan has worked—muhahaha! My boys now wash their hands when they should without questions, arguments, or reminders. Best of all, the soap makes all of us giggle every time we visit the bathroom! 1. Remove the soap from the package. Cut it in half so that you have two 16 ounce blocks. Place 1 block back into the package, and cut the second in half again so that you have two 8 ounce blocks. 2. Place 8 ounces of soap in your microwave-safe bowl. Melt the soap (40 seconds on high, then 10 second intervals until completely melted). 3. Allow the soap to cool slightly, then gently stir in ½ tsp of Germ Fighter essential oil. I truly love this oil! It has the most delicious and warm cinnamon scent. You may use whatever essential oil you wish, but avoid citrus oils as they may eat away at the plastic toy. 4. Pour the melted soap into the molds, dividing it evenly so the soap only fills each mold halfway. Allow the soap to harden for about 20 minutes. 5. When the soap has hardened, position the minifigures in the center of the soap face down. 6. Repeat steps 2–4. Allow the soap to harden for about an hour. 7. 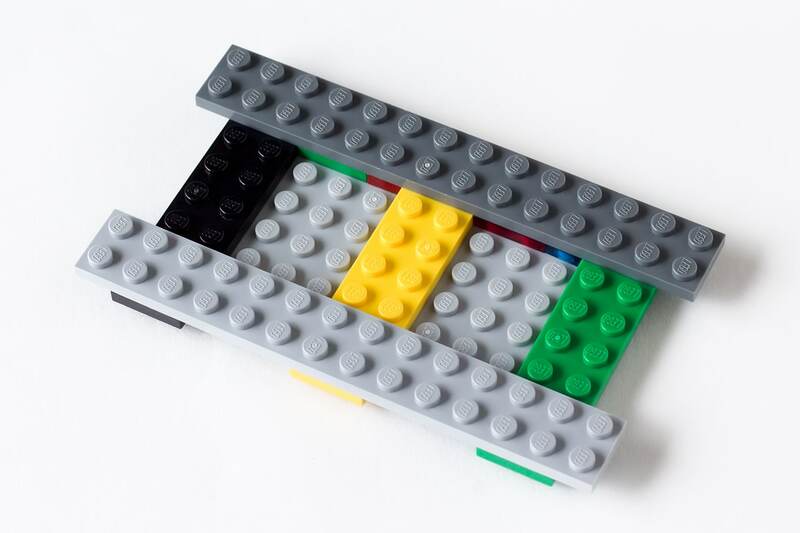 While the soap is hardening, invite your child to build a LEGO soap holder with LEGO bricks! Here is the soap holder we came up with. It contains the mess and allows the “LEGO Man” soap to air-dry on the bathroom counter. 8. Gently push the soap out of the molds. Rescue the LEGO guys with excellent hygiene! This recipe makes 4 bars of soap. 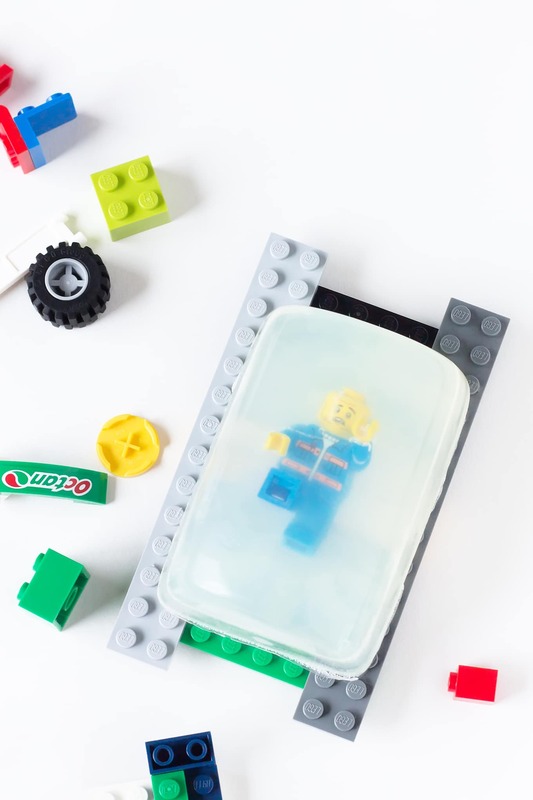 If you don’t wish to use LEGO Minifigures in your homemade soap, you can use a LEGO soap mold. Click the links below to view LEGO soap molds. 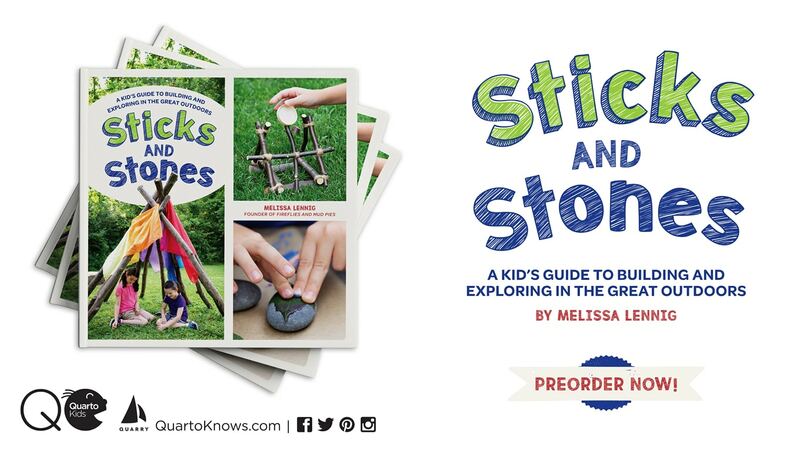 This will be a Father’s Day present for a father who builds with his son. This is too much fun! I can’t wait to make it for my boy!